Thank you, Branco, for your always useful information. It seems clear that they sometimes use more symbolic behaviors. Happy birthday to you soon, I think also! If you go to the Monroe County Sheriff's facebook page, one of the family members comments on the killings. From there, if you go to her FB page, you can see the pictures of one of the dead horses. I'd post it but it is very graphic. I highly doubt there were 5 gunshots and nobody heard them? Sounds like a scrub attempt by F&WS, but the sheriff knows the family and doesn't seem to be buying it either. Thanks for kind comment and for the birthday wish. You are right, the 19th; just happens to be my age as well. (That is if you add 66 to it.) We have tropical rain storms and flash flooding until Monday. I'll go up into the Ouachitas then and see if any of the Boogers drowned. Thanks or the tip. Last time I ever speak with a F&WS person. Here is a great interview with the Sheriff. http://TOMPKINSVILLE, Ky. - Officials confirmed another animal has been found dead in Monroe County, Kentucky. According to Sheriff Dale Ford, a calf was found dead and partially skinned at a farm. TOMPKINSVILLE, Ky. - Officials confirmed another animal has been found dead in Monroe County, Kentucky. According to Sheriff Dale Ford, a calf was found dead and partially skinned at a farm. The animal’s death happened less than a mile from where three miniature horses were killed last weekend just outside Tompkinsville. 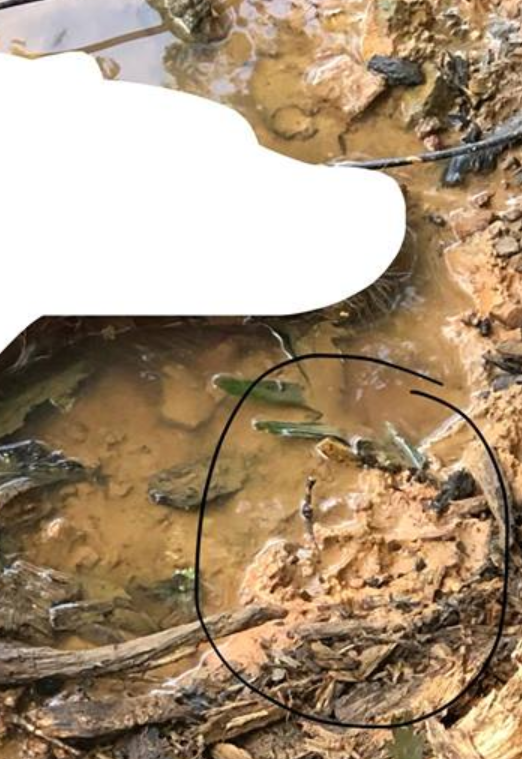 The sheriff released close up photos of where the calf was injured and said the scene was not as bloody as the one involving the horses. The injuries appeared to be different. He also stated it’s impossible to know if the killings are related, but considering the controversy over what happened to the horses, he felt it’s important to go public with any attack. Kentucky Fish and Wildlife officials determined a wild animal did not kill the horses; however, the sheriff has disagreed. So what kind of animal would skin a calf before eating it? A wild dog or even a pack of them and maybe a pack of coyotes. Some thing that is not willing to take on any larger animal then it's self. These creatures do not kill in this matter and the animal would be killed with the neck or bones just broken. At least the deer that I have found were. There was an incident here in Michigan where the horse of a sheriff was injured by coyotes but was not taken down but I believe did die of it's injuries and the throat was grabbed. It was done by a pack of coyotes. Fact: The typical wolf killing pattern is for one wolf to grab the prey by the rear and hold it while its partner tears out the throat. The same can go with the coyote and the feral dog as well.